North Star is a team dedicated to uncompromising customer satisfaction and to the high standard of their product service. With a commitment to innovation, quality and value for your investment, you are safe with North Star Windows & Doors. BEST QUALITY....BEST REPUTATION....MADE IN ONTARIO! Since 1982, Kohltech Windows & Entrance Systms' mission has been to ensure that each window that they design and manufacture is "outstanding." Professionally engineered, reliable and beautifully crafted, it's a pledge they continue to live by today. Kohltech products are truly personal. Each window and door manufactured by Kohltech bears the individual label of its customer -- from the time the glass is cut to when it arrives at the job site. KV windows are available in several finishes, with Simulated Divide Lite Grill options. For over 60 years Norwood has been producing finely crafted wood windows for the discerning homebuilder. Manufactured in Eastern Canada and rigorously tested to withstand the brutal cold of northern winters, Norwood offers homeowners a wide selection of quality windows with the perfect blend of form and function...with a touch of elegance that only real wood can provide. Their environmentally friendly manufacturing processes and ENERGY STAR rated products also mean that the enhanced beauty of your space is not the only thing you'll have to feel good about when you choose Norwood. 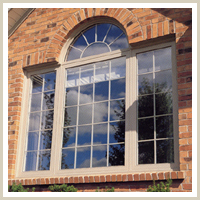 All Norwood windows are built to exacting standards using the finest materials available. Choose from their extensive list of existing styles, shapes, colours and sizes, or let their custom shop build you something truly unique. Copyright © 2019 ViewTech windows & Doors. All rights reserved.